Through more than 30 years of practice, Mr. Alway has developed substantial experience in many areas of the legal profession. 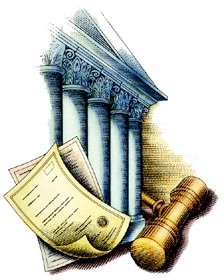 In many litigation matters, he represents both plaintiffs/petitioners and defendants/respondents, which gives him insight in to the entire litigation process and enables him to provide the best possible representation. Please read about the different practice areas and how they may apply to your situation. If we do not handle a matter of interest or need for you, feel free to contact us anyway as we refer clients to highly skilled members of the legal community who can assist you.